John Gallante became the President and Assignor for the Tri-State Elite Umpires Association in January 2012 at only 22 years old. At the time, the TSEUA was a 12 man umpiring crew with a 500 game assignment total. In the years since John has presided over the massive and consistent growth of the organization to its current totals. With over 300 active certified umpires and over 40,000 game assignments in 2018, the TSEUA has grown into one of the largest umpiring organizations in the United States. In 2014 John was accepted into the Chesapeake Basin Umpires Association to begin his journey in NCAA baseball. After just two seasons in college baseball, John was selected for a Division III Atlantic East playoff series. In November 2018, John was named Perfect Game's Umpiring Director for the Northeastern United States. Jerry Wilgus became a Mechanics Instructor for TSEAU in 2016 and Rules Interpreter for both baseball and softball in 2018. A 15-year veteran umpire at many levels of baseball, Jerry has been selected to NCAA Division III Conference Tournaments on numerous occasions. Jerry is a playoff-selected high school umpire annually, including New Jersey Semifinal and Finals games, and is widely regarded as one of the finest baseball umpires in the region. 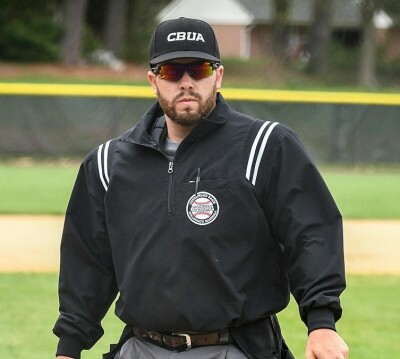 Jerry previously served as President and Mechanics Instructor for Tri-County Umpires Association, a NJSIAA Chapter based in Cumberland County, and currently serves as Umpire Coordinator for the annual Bridgeton Invitational Tournament. Twenty-one-year veteran Umpire Rich Glazer wears two extra hats for the organization. He is a member of the 6-man Disciplinary Board and also serves as the Uniform Compliance Officer for the association. His careers as a Wall Street broker, an Army Officer and as a long-time Sports Agent have served him very well in these positions. Rich has been selected to Umpire numerous Men's All-Star games, which were played at Frawley Stadium, Home of the Wilmington Blue Rocks, in Delaware. For the year 2017, Rich was selected by the South Jersey Senior Men's Baseball League as their "Umpire of the Year."